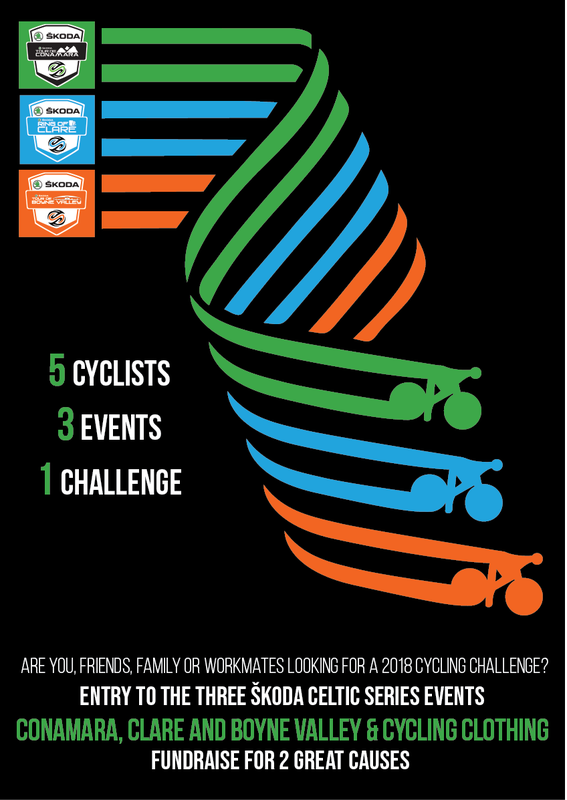 Are you and some of cycling buddies looking for a 2019 cycling challenge? The ŠKODA Celtic Cycle Series Triple Crown Challenge is a cycling challenge for cyclists looking to complete three great cycling events. 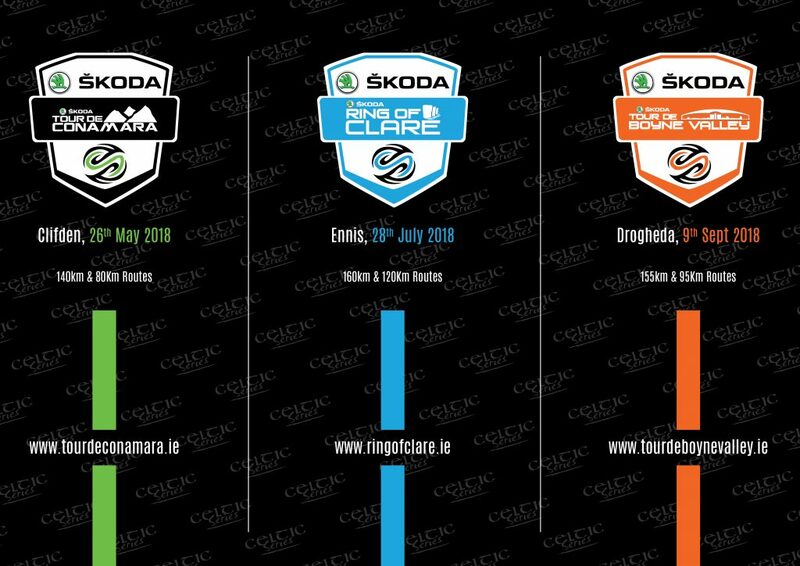 The cyclists must take part and complete the three 2019 ŠKODA Celtic Cycle Series cycling events. 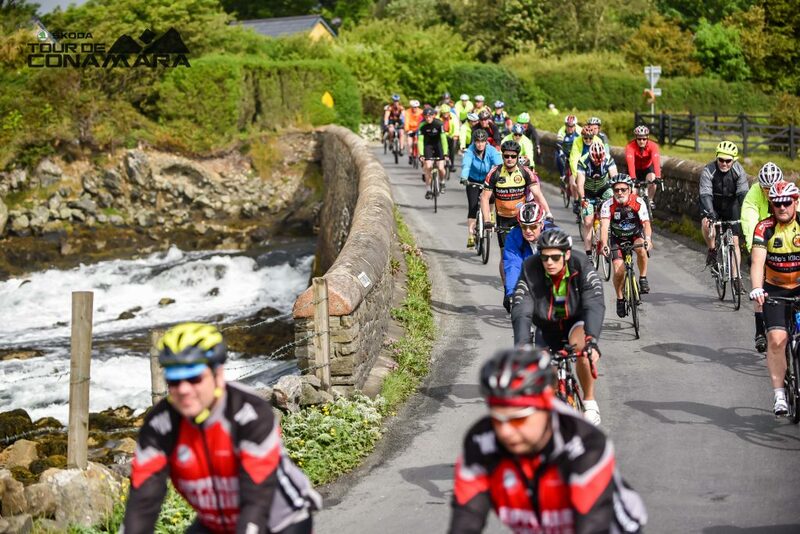 You will take part in the ŠKODA Tour de Conamara (25th May), ŠKODA Ring of Clare Cycle (27th July) and the ŠKODA Tour de Boyne Valley (8th September). Entry to the three events is free to the three events and is based on raising a minimum of €500 in return for free entry and a special Triple Crown jersey. Each individual team member must raise a minimum total of €500 each between all three events or secure sponsorship from your place of work to this value. This will presented directly to the nominated charities – RNLI and Clare Crusaders Children’s Clinic. If you have 5 cycling workmates from one business or workplace – A further incentive for your workplace or business will be the inclusion of the company’s logo on the ŠKODA Ring of Clare event gilet which is provided to cyclists who are taking part (*subject to early registration). Your company will also be profiled through the events’ marketing and social media channels. If you are interested in taking the challenge or if your workplace or business is interested in making up a team of 5 cyclists email info@celticseries.ie. Go on and take the Triple Crown Challenge for 2019.